Paramotor Trike PLAN LiteFlyer Trike build it now. 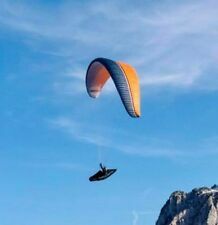 Parachute de Secours p Parapente SUPAIR L avec son pod avec extracteur. PTV max 120kg. Année 2006. 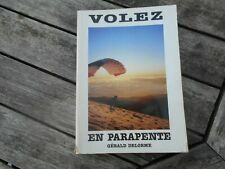 VOLEZ EN PARAPENTE. SERIEUX ASSURE. Combinaison Ulm parapente Paramoteur de la société Flanders Paramotor trikes taille M. Manche resserrante, élastique de maintien au niveau des chevilles à passer sous la chaussure pour empêcher la combinaison de remontée. Paraglider Pilot Needs Ride Sign. RS Finger brake toggles for Paragliders. Can be installed on any wing, you have much more feel with these toggle and for the PPG guys its really nice for throttle hand as it doesn't get in the way of the throttle. "Chute Layout. Title: Flying The Powered Parachute. "Students First Solo. Format: DVD. "Preflight. Product Information. 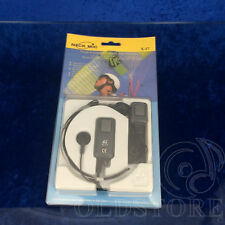 LARINGOFONO A VIBRAZIONE VOCALE CON AURICOLARE. UTILISSIMO MICROFONO PER PARAPENDIO E SPORT VARI. LAFAYETTE X17. Dai un'occhiata alle mie inserzioni. BUONA ASTA ! RICHIESTE TARDIVE NON POTRANNO ESSERE SODDISFATTE. One harness fit all: paramotor, paragliding free flight, ground handling, speed fly…. Adjustable body position: upright for paramotor, tilt down for free flight. Minne Motor AIO electric paramotor - YouTube. Case is printed in 3D. Wysokiej jakości klej z wyjątkowej folii Oracal, odporny na światło, warunki atmosferyczne, a także większość olejów, smarów, słabych kwasów, soli i zasad.Gwarantowany czas trwania: biały 4 lata, kolory 3 lata.Czas trwania aplikacji wewnętrznych jest nieograniczony. Why read it when yo can watch it ! Paramotor Central Presents skymax powered paragliding quad! If you don't see what your looking let us know, we probably have it or can get it. - Standard,Alum Wheels. - Fold Down adjustable Seat. This year the Airparamo calendar hosts a number of gorgeous images from Jeff Hamann taken on his worldwide travels. Also, a gorgeous centerfold awaits your eyes. "Excellent calendar. "I received my calendar really quick. Delta e Parapendio. Editoriale Olimpia. LiteFlyer Trike. Your paramotor stays intact. No modifications to your paramotor. “Switch hit” by doing nothing more than detaching from the trike and adjusting the hang points. A lot of hard work and testing went into developing a trike that remains light, strong and buildable. Due to popular demand, we're introducing our Whoosh! Wheels for round basetubes. Wheels for Moyes & Airborne aluminum speedbar basetubes and Wills Wing aluminum speedbar basetubes around the globe. Propeller for paramotor Solo 210, 120cm, reduction 1:2.5, drilling pattern 4xm8x63mm, left rotation. We have propeller models for different kinds of engines Propeller must be in new condition and not used. WHOOSH TM Airfoil Speedbar Wheel Hubs with wheels (Patent Pending). This sale page is for a pair of W ills W ing version of our Carbon Whoosh! The design criteria was simple, but the engineering was challenging: To fabricate a machined plastic hub that would be flexible enough to wrap around and close on the carbon-fiber basetube like a clam shell, that wouldn't easily slide sideways, and that would accommodate wheels that can bolt together with no tools. 6.25”smooth wheels for Moyes and 2.75” carbon fiber airfoil speedbar basetube. 6.25”lightened wheels for Moyes and 2.75” carbon fiber airfoil speedbar basetube. 8”wheels for Moyes and 2.75” carbon fiber airfoil speedbar basetube. WHOOSH TM Airfoil Speedbar Wheel Hubs with wheels (Patent Pending). The design criteria was simple, but the engineering was challenging: To fabricate a machined plastic hub that would be flexible enough to wrap around and close on the airfoil basetube like a clam shell, that wouldn't easily slide sideways, and that would accommodate wheels that can bolt together with no tools. Adesivo di alta qualità dall'esclusivo film Oracal, resistente alla luce, alle condizioni atmosferiche e alla maggior parte degli oli, grassi, acidi deboli, sali e basi. Durata garantita: bianco 4 anni, colori 3 anni. 6.25" wheels for round 1.000 (narrow) basetube. 6.25” wheels for round 1.125” (standard) basetube. 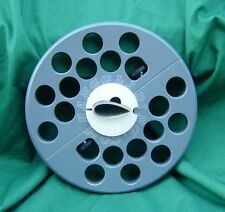 6.25” wheels for round 1.250” (tandem) basetube. 6.25” wheels for Moyes/Airborne/Icaro aluminum airfoil speedbar basetube. Icaro may be using either the 2.75" or the 3.00" carbon basetube. Who would have thought that a carbon-fiber basetube would trickle down to the recreational glider market so quickly?. Did you know?. We now have over adozen different products in our hang gliding wheel lineup! Who would have thought that a carbon-fiber basetube would trickle down to the recreational glider market so quickly?. Did you know?. We now have over adozen different products in our hang gliding wheel lineup! Who would have thought that an airfoil speedbar basetube would trickle down to the recreational glider market so quickly?. 6.25”wheels for Moyes/Airborne/Icaro aluminum airfoil speedbar basetube. 6.25”wheels for Wills Wing aluminum airfoil speedbar basetube. First picture shows where this sleeve fits on the paramotor and is not the actual part you will receive. You will receive an identical new part. Gin Genie Race 2 excellent condition including cockpit. Con introduzione al Volo in Parapendio. Il libro per tutti i piloti che vogliono approfondire le loro conoscenze del Volo in Parapendio. IN PARAMOTORE. IL MANUALE UFFICIALE DELLE SCUOLE DI VOLO PATROCINATO DA AECI, FIVU, FIVL, API, FAI.